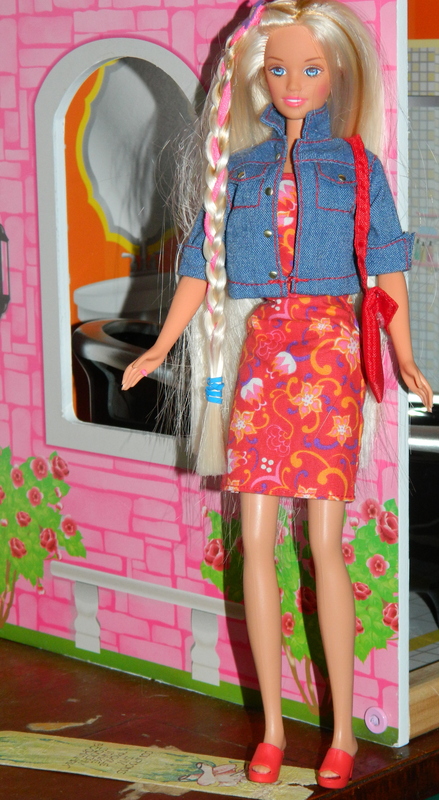 Apologies all, Fashion Doll Friday is late going up today. I was out trying to photograph a historic ferry for My Other Blog. Today’s doll is Teen Skipper from 1997. I think she may have been the first one. She is wearing a Fashion Avenue outfit called “Spring Break” from 2000. Next When is a doll not a doll? Yep, she’s the first one – I have her too 🙂 that outfit is lovely! Was it specially made for Skipper? Yes, it is a genuine Skipper outfit. They made quite a lot about that time.